Berry Schools responds to an inquiry by Miss Mason about articles woven by the girls. 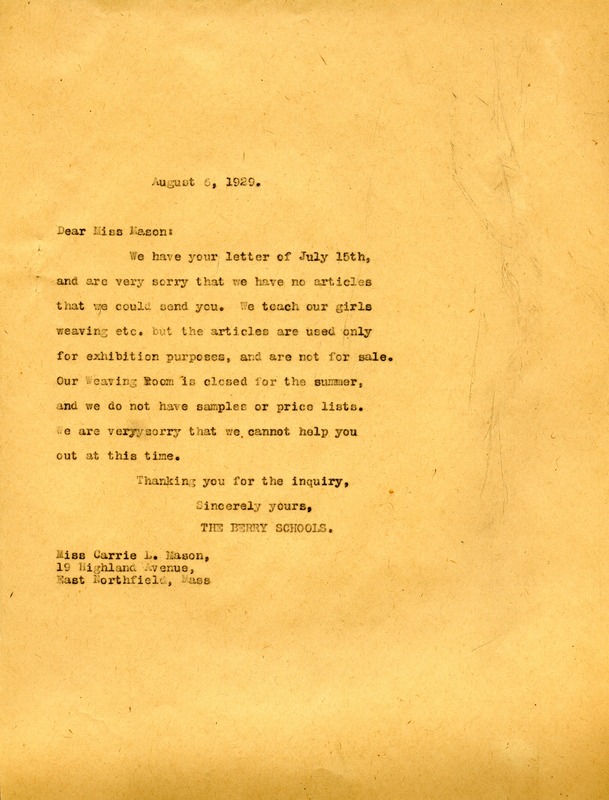 Berry Schools, “A Letter from Berry Schools to Miss Carrie L. Mason.” Martha Berry Digital Archive. Eds. Schlitz, Stephanie A., Brooke Culbertson, et al. Mount Berry: Berry College, 2012. accessed April 26, 2019, https://mbda.berry.edu/items/show/10619.